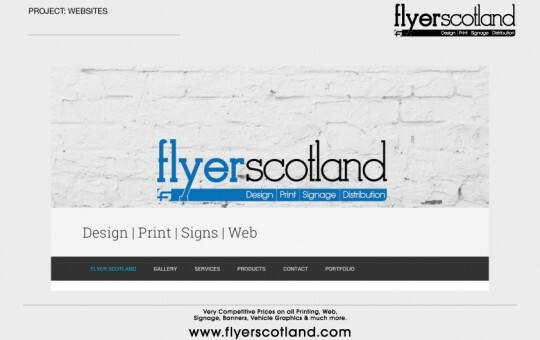 Welcome to Flyer Scotland – Specialists in everything print, design, fabricating and implementation. Great problem solvers and attention to detail is our forte. We are currently still adding content to our site, but you can check out our Portfolio page for some images and descriptions of some of our work. 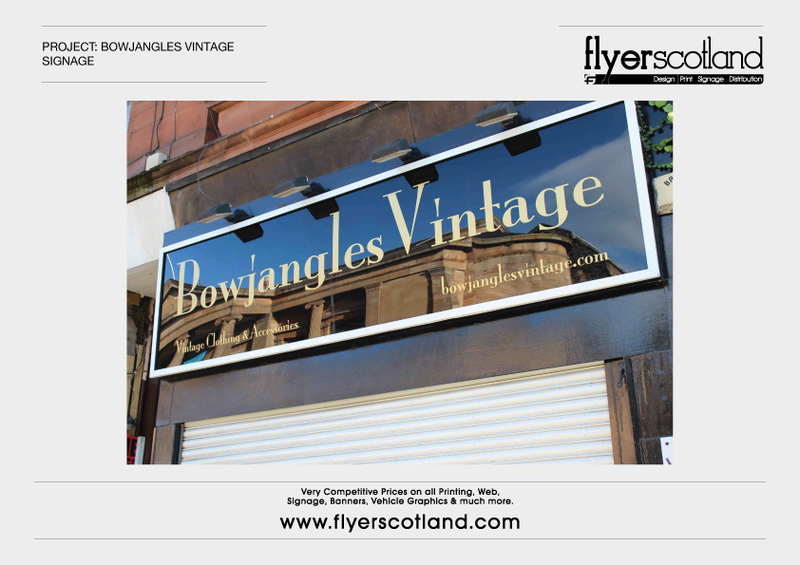 We specialise in making signs in Glasgow & Edinburgh as well as covering most of Scotland – from small shop signage and safety signs to all singing all dancing built up letters and illuminated with either fluorescent or LED lighting. We can Halo light your letters or supply a trough light as wide as you need. 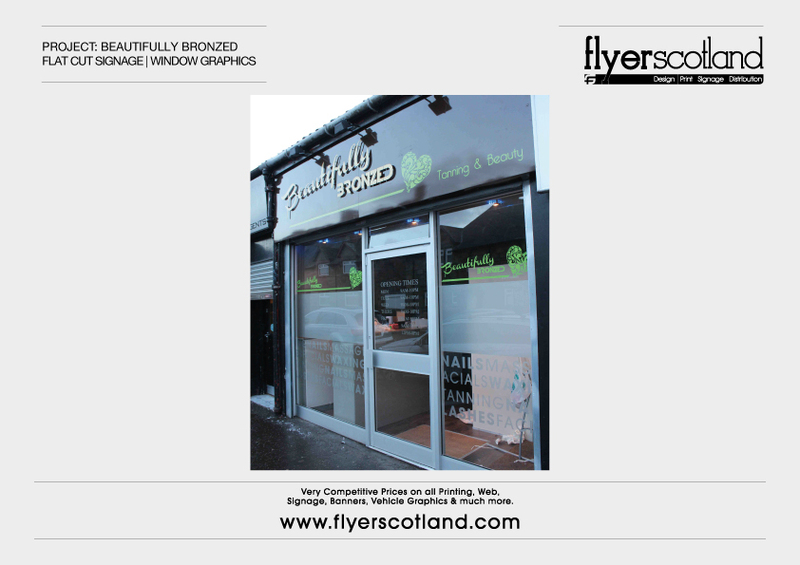 Our specialist sign installation fitters are extremely skilled in applying vinyl, window graphics, shop fascias and signage as well as anchoring bolts for huge banners along the sides of buildings or attaching mesh banners to fences to promote your business. 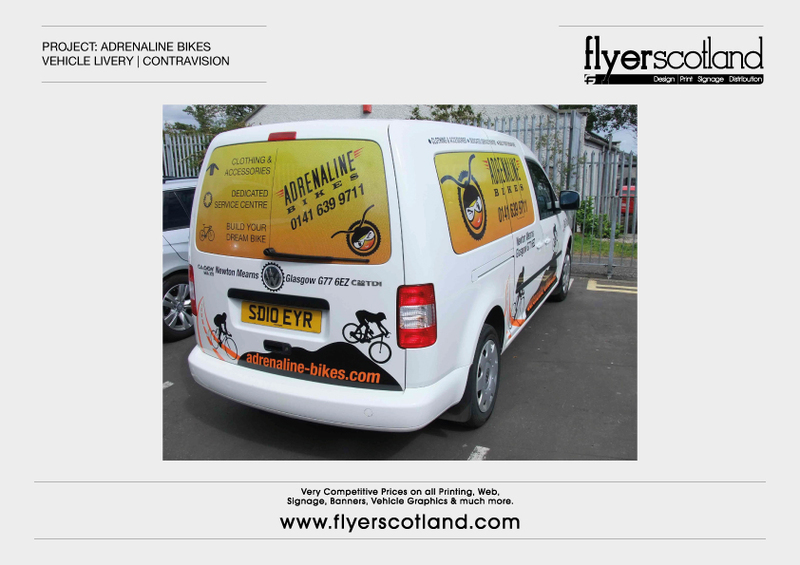 1 car or 15 vans, it doesn’t matter to us, we will apply your vehicle graphics and make them look amazing and identical to the rest of your fleet. We have wrapped all sorts of vehicles from a tiny smart car to a 40ft trailer. 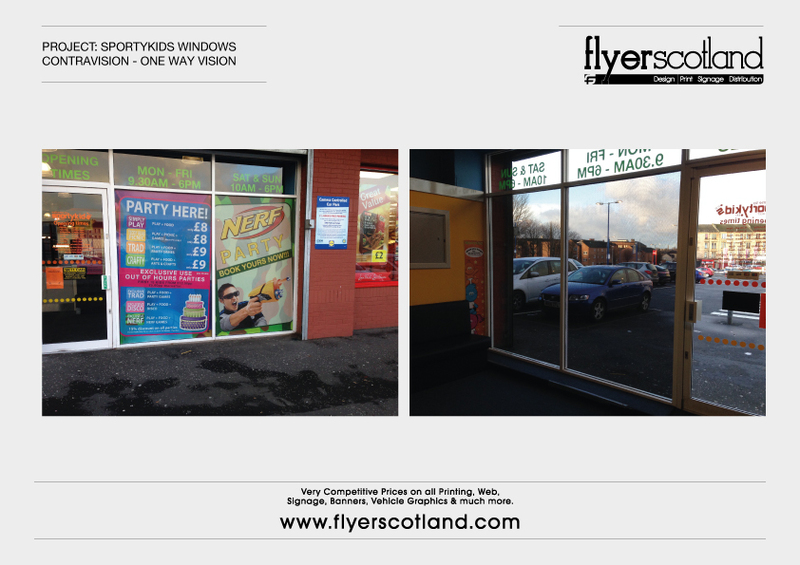 Our vehicle livery can be one way vision (contra vision) for buses or vans that still want to look out of the windows. 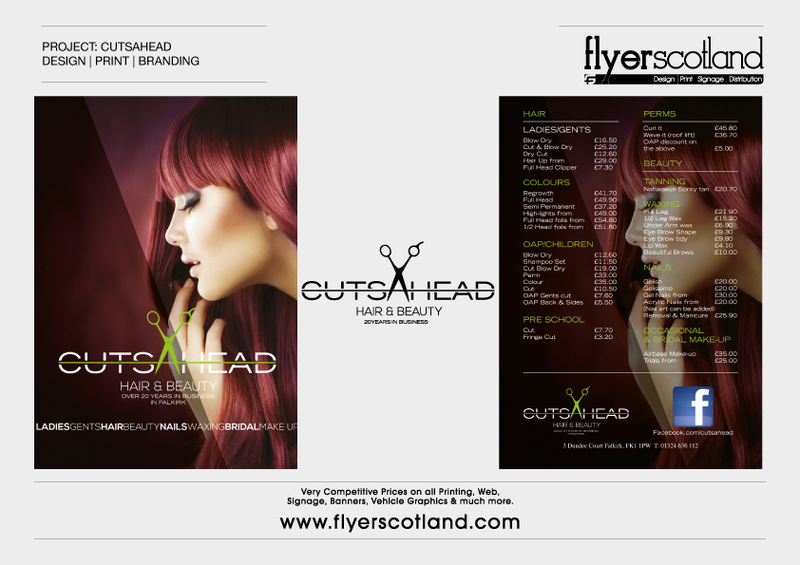 We manage printing for a number of our clients to constantly get the best prices and fastest turnarounds on the litho market. We pride ourself on the quality of our printing services and have lots of configurations for your designs to be printed on. 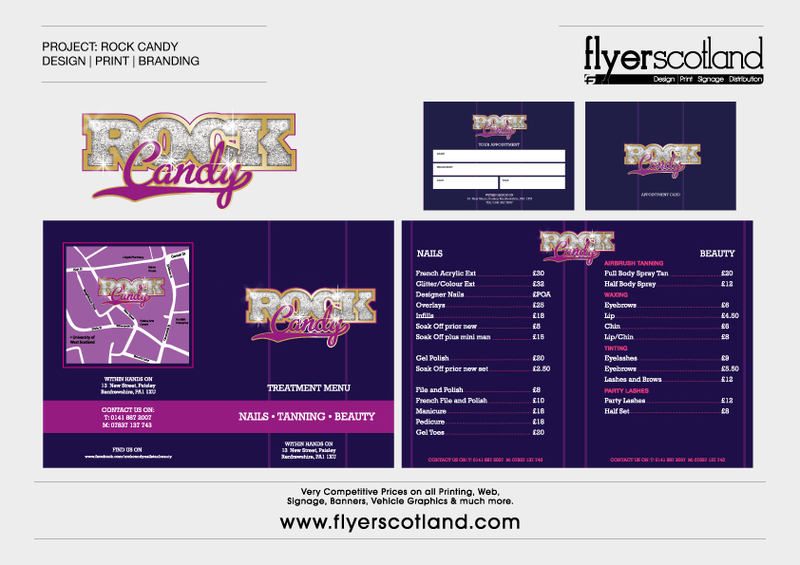 If you need something printed really quickly and not much of it then digital printing is for you. 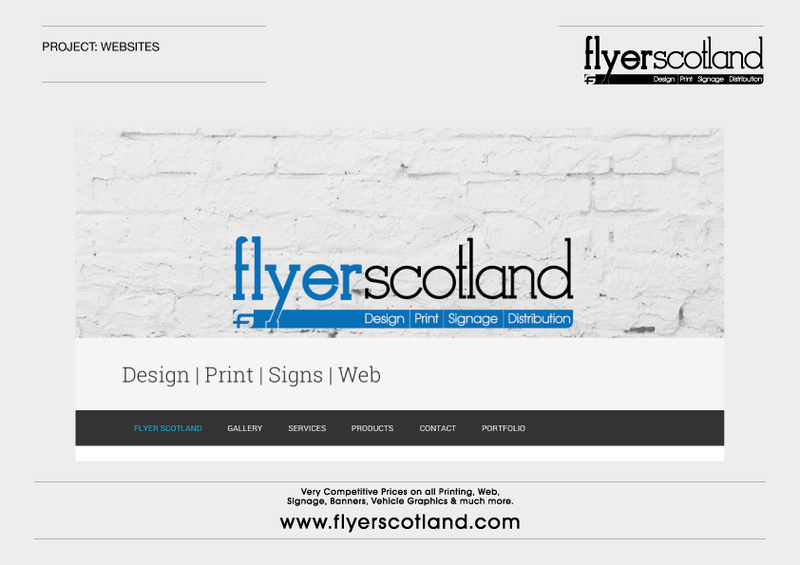 We can have something printed for next day delivery. 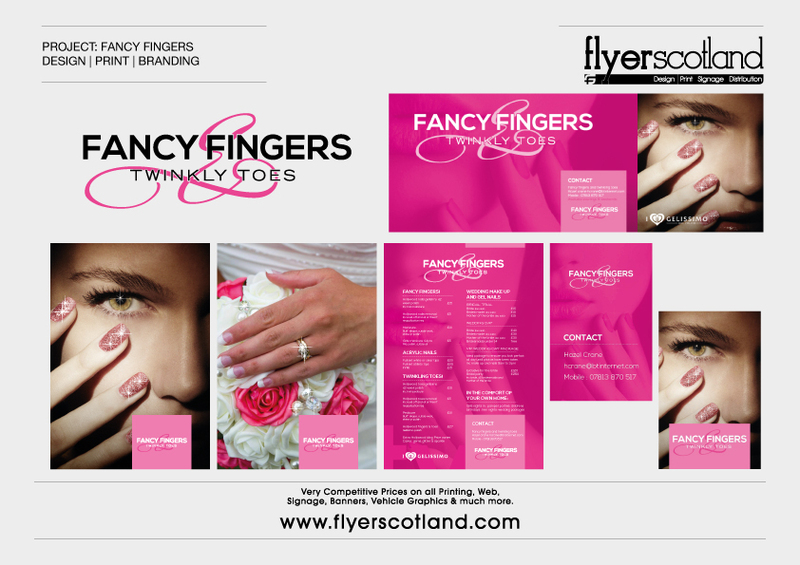 Our designers are without a doubt some of the best in the country, you only have to look at our portfolio to see for yourself. We always give value for money and will help you along the way. Don’t worry if you don’t have any idea what you want. We can come up with some great design ideas. 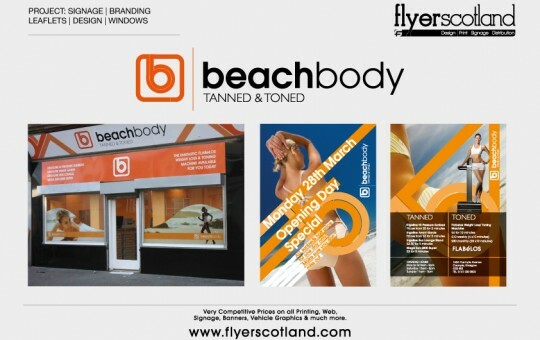 Not every company can offer this service but we believe that great design should be protected. We don’t want anyone copying our work either. As you are aware everything is online nowadays. Don’t get left behind, let us give your social and web based activity a check up and help you get business from social media or your website. We can set you up online from as little a £150. Wether your selling, buying or just showing off, online is where it’s at. 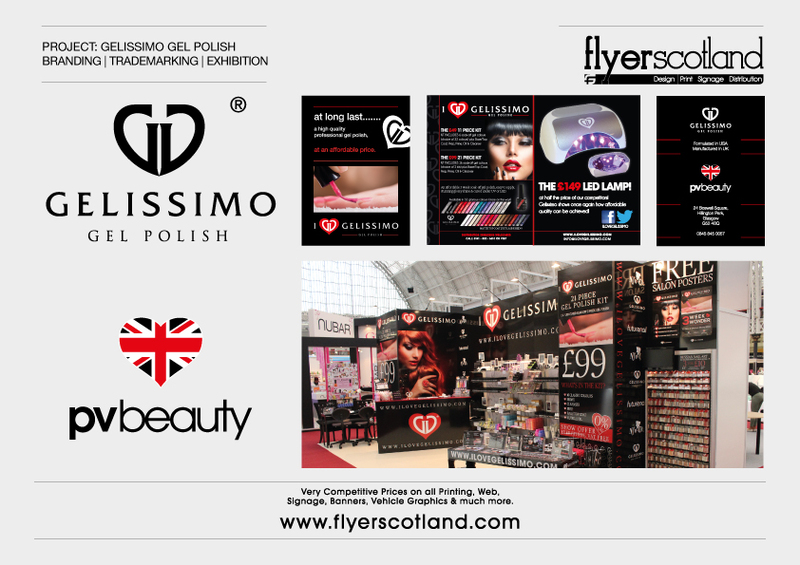 Let Flyer Scotland help make you look good while doing all 3. 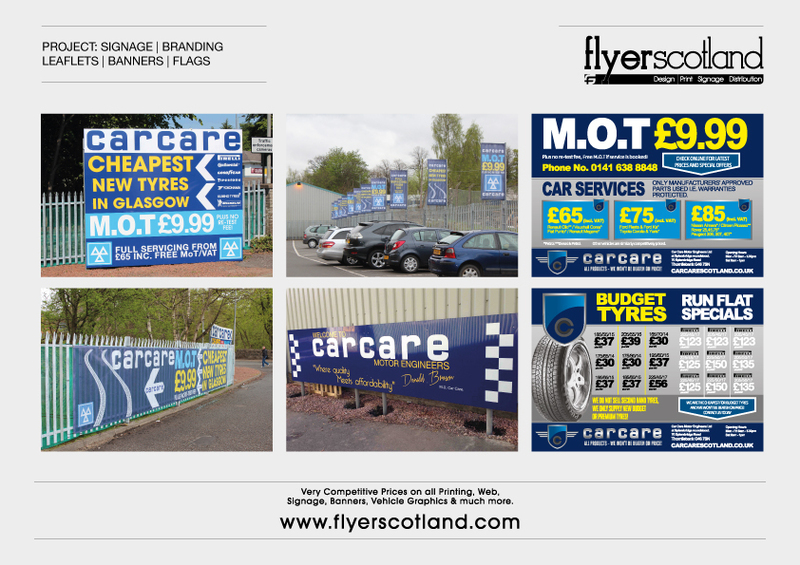 Shout about your promotion with a few eye catching outdoor displays. Wether it’s a mesh banner, full colour printed flag or robust pvc banners, we can help you achieve that all important call to action. Are you on the exhibition circuits? 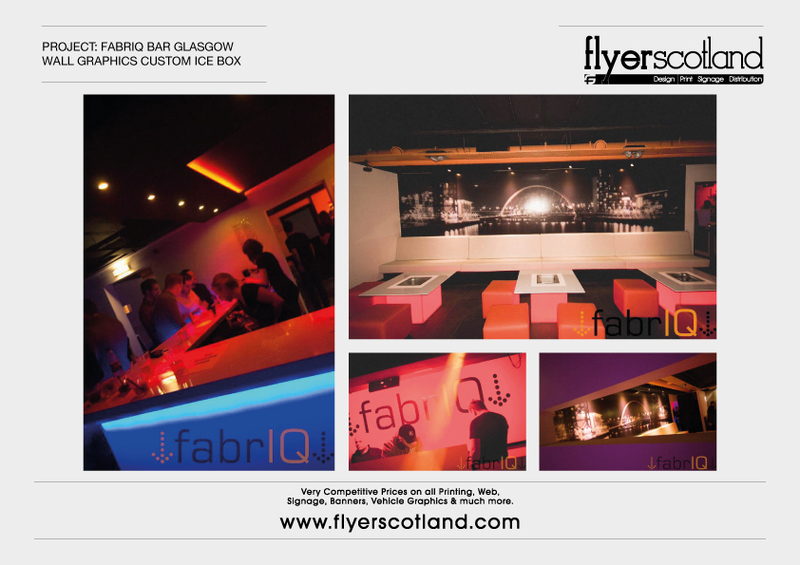 We can help you with some affordable pop up solutions. 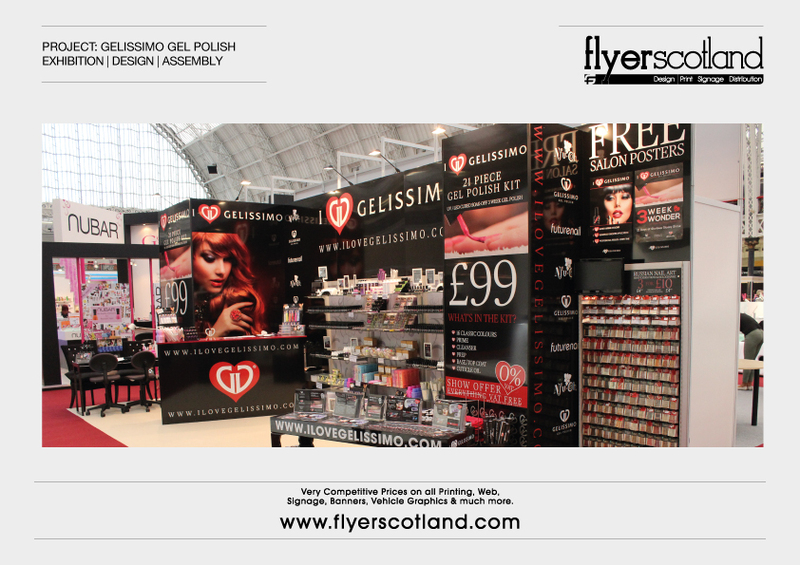 If you are using a shell scheme we can provide full colour digital prints, roller banners or pop up displays. If you are going the whole hog and need a complete build get in touch to discuss how we can do this for you. Sometimes you think it cannot be done! 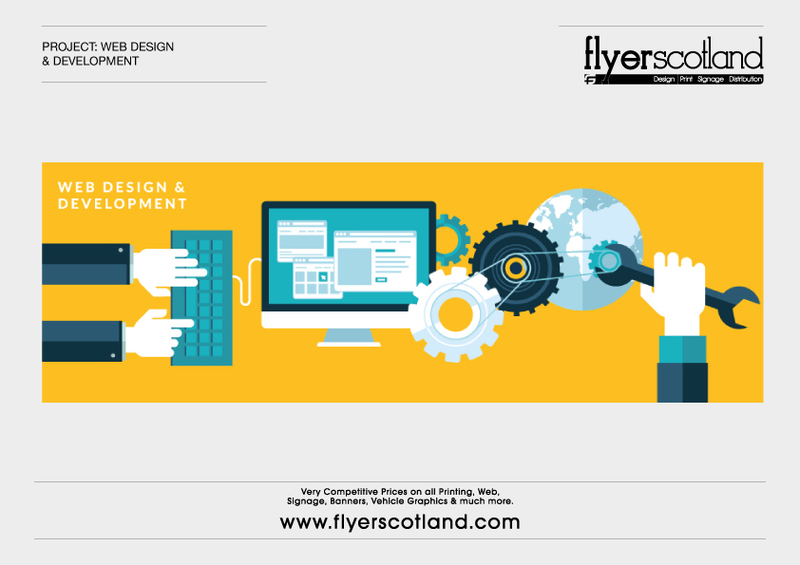 We love a challenge at Flyer Scotland and rarely do we get asked a question about a job that we cannot help or achieve a suitable outcome. Many people simply think something cannot be done – wether it is a question of not enough budget (there is always a solution you just need to be creative) or have a fantastic idea, yet haven’t seen it anywhere before (these are the best ones!). 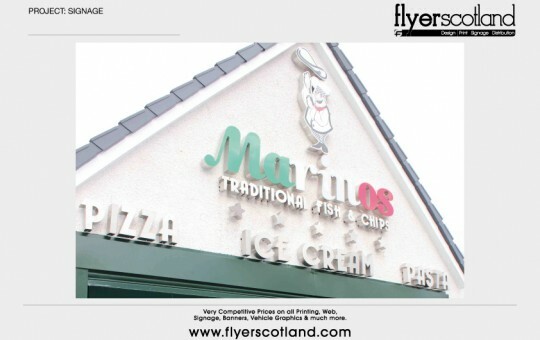 We can talk you through some options and create some solutions for all your needs in Signage | Printing | Design | Web. Get in touch with your ideas, suggestions, quotations or simply want to grab a coffee and discuss your requirements! NEED A WEBSITE OR DIGITAL MARKETING?